Good health is a great blessing. You should not only maintain it properly, but protect yourself with a health insurance in accordance with your way of life and financial state. Personal Money Service offers you to choose the very plan you need among all the variety of insurance options provided by the Company’s cooperating partners. Traditional fee-for-service health insurance plans, being the most costly they allow a flexible choice of health care providers. Health maintenance organizations, offering lower payments. Such option presupposes primarily the coverage of preventive care and a limited selection of health care institutions. Preferred provider organizations, offering lower payments allow you flexible choice of health care bodies. Health Insurance presupposes the coverage of medical services and certain medicines prescribed. Depending on the plan you choose, the amount may be defined as a percentage of the expenses or a certain dollar amount. 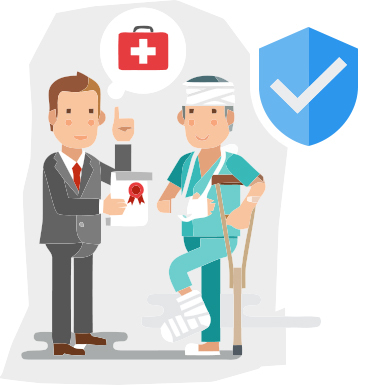 Personal Money Service makes her best to provide her clients with the most affordable health insurance options along with state-of-art personalized support. The health care coverage may come in different ways. The most affordable option is a group plan; it is usually paid by the employer partly or in full. The employee in his turn may decide to add a spouse or a family member at an additional cost. In case you are still under 26, join your parents’ insurance plan. You may purchase an individual policy from a health insurance marketplace or company you’ve chosen. Medicare, Medicaid and CHIP (Children’s Health Insurance Program) are widely known governmental programs. The options are multiple, but you should be very careful choosing the provider and checking the terms you are offered.With a reliable health insurance distribution network Personal Money Service offers her clients to get the quotes from different companies to find the policy, which meets the customer’s needs best and comes with the most affordable price. Getting several quotes from different providers is almost a guarantee of getting the best deal. More than that you may devote some time to our review section and make your personal research of insurance companies to find the best carrier. Make sure you’ve selected the best health insurance provider and the best coverage possible.